Tuacahn Amphitheatre is a popular attraction for tourists and locals in Southern Utah. With spectacular views, nestled between 1500-foot red rock cliffs, with shows and entertainment you will never forget. During the summer months they feature Utah’s finest actors, in some of Broadway’s greatest productions. This unique outdoor theater is enhanced by Southern Utah’s famous red rock and natural desert scenery, which makes every show unique. Every year thousands of people from all over the world come to experience the beauty, performances, actors, and atmosphere that only Tuacahn offers. Everybody can experience magical childhood memories, and dream a little when they watch J.M. Barrie’s famous story Peter Pan. They bring the story to life right before your eyes in the red rock canyon with Pixie dust, pirates and Neverland. They brought this show back after ten years, and the stadium was packed with anticipation from opening night on. They bring the story to life with majestic views, and the panoramic background is sure to leave you stunned. You will witness Peter Pan, Tinkerbell, and the Children flying over the stage just like in the classic version we all remember and love. 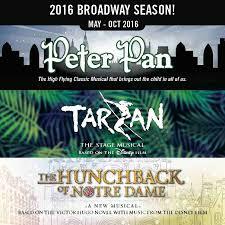 Peter Pan will run through mid -October 2016. Tuacahn will take you back in time to the 15th century in Paris. Based on the novel and traditional songs from the Disney feature, as well as new songs, you will love this performance. This story has a message that will touch the heart of all ages, and is about being a true hero. They put a new twist on the show, but you will still see Victor Hugo’s original message of honor, love and betrayal. Don’t miss the Hunchback of Notre Dame beginning in August 2016. As the cool fall weather arrives, and Halloween is all around us, come experience the best show for the season, Odyssey Dance Theatre’s Thriller. For many locals, this is a tradition during the Halloween season. From the amazing costumes, dancing, comedy, and of course scenery, this show is truly something the family will never forget. You will experience it all; skeletons, Frankenstein, werewolves, and mummies. You can bring a warm blanket, snuggle up, and they have warm delicious hot chocolate available. 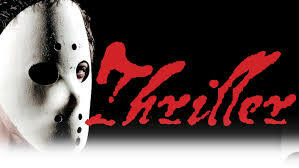 Thriller starts October 21-29, so get ready for crisp fall weather, laughs and spooky scares. 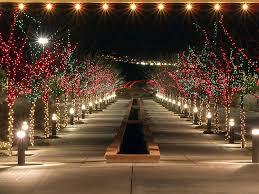 Tuacahn’s Christmas in The Canyon is November 27th through December 21st. There is no better way to get into the best season of the year, then experiencing this magical presence of lights and festivities. You can also enjoy Christmas items and Holiday gifts located at the Tuacahn Gift Gallery. They offer delicious Holiday treats, hot chocolate and Christmas music. They present a popular live Nativity which is a family favorite tradition. You can take the kids to see Santa Claus, and ride a Holiday train. This is an event that the entire family will cherish, and there is no better way to feel the Holiday magic then experiencing it at Tuacahn.